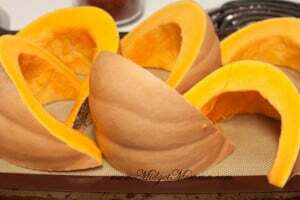 Once you have home made pumpkin you will never want pumpkin for a can again. It is very simple to make, its just takes a few steps. 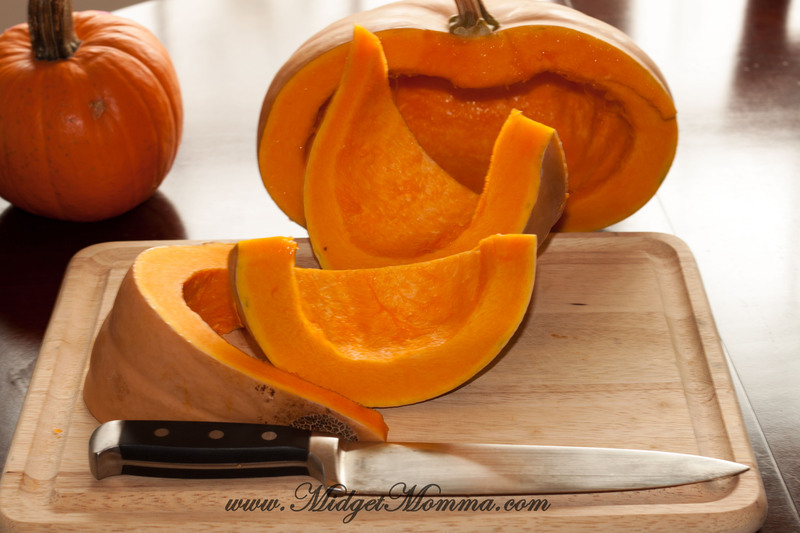 Pumpkin puree isn’t just for pumpkin pie, it is an amazing baby food. I love making my own pumpkin yogurt by mixing it into some vanilla greek yogurt. 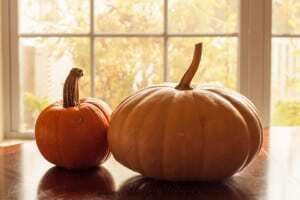 You can check out all these Pumpkin recipes to use your pumpkin puree. Cut the stem off the pumpkin and cut in half. Remove the seeds and stringy fibers with a spoon. Place all the seeds into a bowl (you can roast them later see here for a great recipe https://www.midgetmomma.com/2013/10/27/crunchy-toasted-pumpkin-seeds/) If the pumpkin is larger cut it into large wedges. Place the pumpkin wedges on a baking sheet. Roast for 45 to 50 minutes until the skin begins to shrivel and the pumpkin is fork tender. Remove from the oven and let it cool until you can tough it. 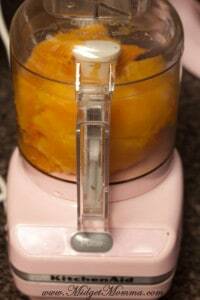 Remove the pumpkin from the skin and discard any pieces on top that may be tough. Add it to a food processor or high-powered blender and puree until smooth. 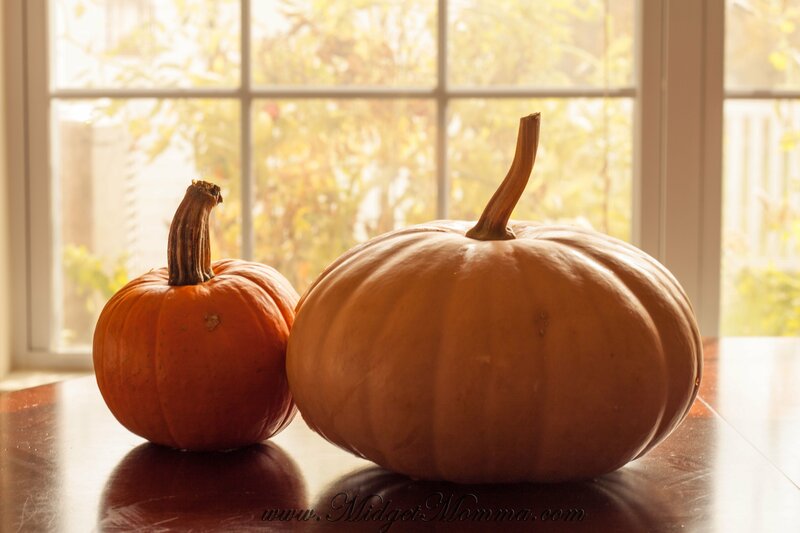 If the pumpkin seems dry, add a few tablespoons of water until it is moist and resembled the puree you see in a can. 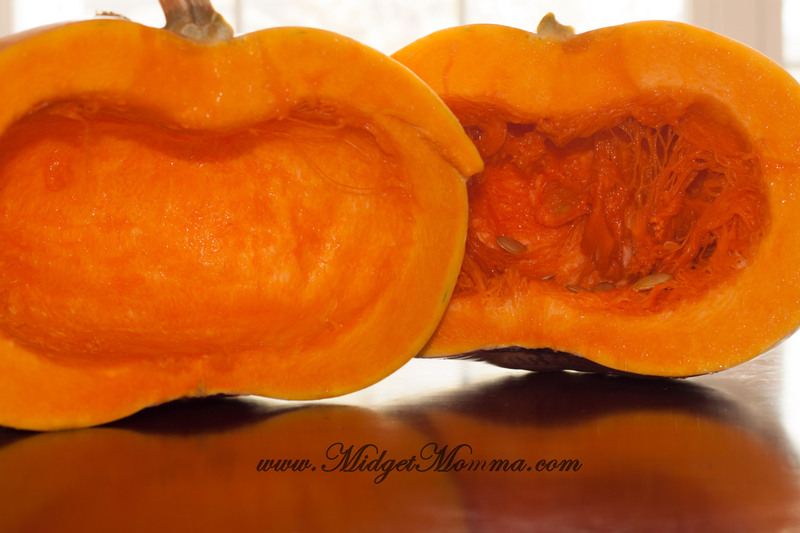 Store pumpkin in the fridge in a sealed container for about a week or in the freezer. Cut the stem off the pumpkin and cut in half. Remove the seeds and stringy fibers with a spoon. Place all the seeds into a bowl (you can make roasted pumpkin seeds afterward with them:) If the pumpkin is larger cut it into large wedges. Place the pumpkin wedges on a baking sheet. Roast for 45 to 50 minutes until the skin begins to shrivel and the pumpkin is fork tender. Remove from the oven and let it cool until you can tough it. 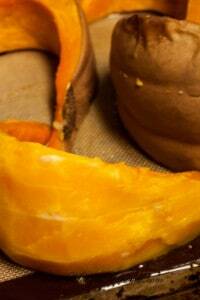 Remove the pumpkin from the skin and discard any pieces on top that may be tough.